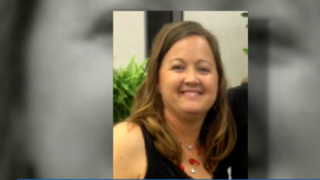 A Texas family is questioning the lack of serious punishment after a high school softball coach reportedly made several racial remarks about a black student player, Raw Story reports. According to the report, over the weekend, dozens of people rallied in support of the Richland High School’s mascot name, “the Rebels,” which is a nod to the Confederate soldiers who died in the Civil War. The protest was staged days after local newspaper the Fort Worth Star-Telegram reported that high school softball coach Brenda Jacobson was reprimanded by the school’s principal, Carla Rix, for possibly making “inappropriate comments to students based on race or skin color.” Rix ordered Jacobson to “adhere to professional communication” and not to “make references to any person regarding race or skin color,” the news site notes. However, the coach was not suspended but was instead put on administrative leave for less than a day. According to the Star-Telegram, the letter detailed that Jacobson was accused of saying that a black player’s hair was “nappy and nasty,” saying that a black player wouldn’t perform a drill “because there is water on the ground and black people don’t like water,” and quipping, “See, everyone is white on the inside,” after a player cut her leg while sliding to a base. According to WFAA 8, Kenzie Wilson, who is black, and her father, Kenneth, were among the first to raise concerns about Jacobson before the fallout. Some of the alleged racially charged comments were directed toward Kenzie. “I felt like it was enough and I shouldn’t be treated like that anymore,” the high school junior told WFAA 8. “There is no way you say what you did to my daughter with witnesses, and you keep your job,” her father added, voicing his concern as to why Jacobson was not suspended or even fired. The Wilsons have since reportedly moved out of the district. Jacobson, for her part, denies making the comments.